why's it crap? I thintk that's a d series Si trans with LSD, well more likely a VTi trans but still. Yeah I believe its a vti as well. Nothing is wrong with it at all its just has the .750 5th gear. I'm not well versed on all the lsd's but I'm told these factory one's are good for about 50k miles. I thought I had found the gold mine there for a minute. I'm getting ready to put it in to see how she feels. 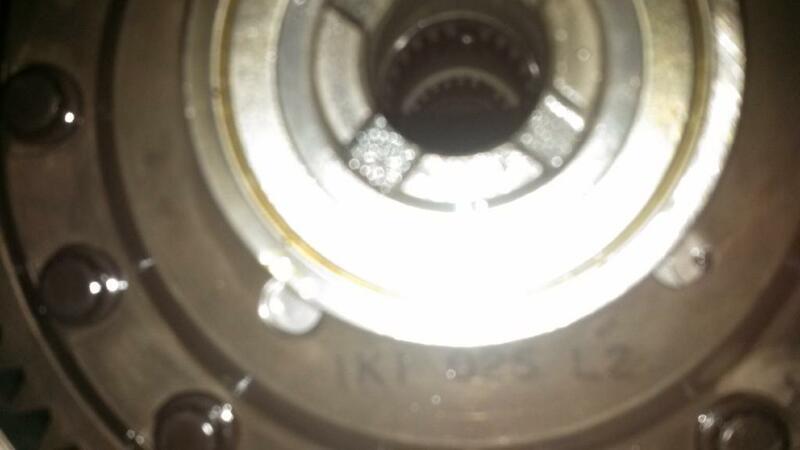 I thought I read somewhere that this diff has its own bolt pattern there for no chance of a switch. I have to look into. Should be the same, if not swap the ring and pinon over. 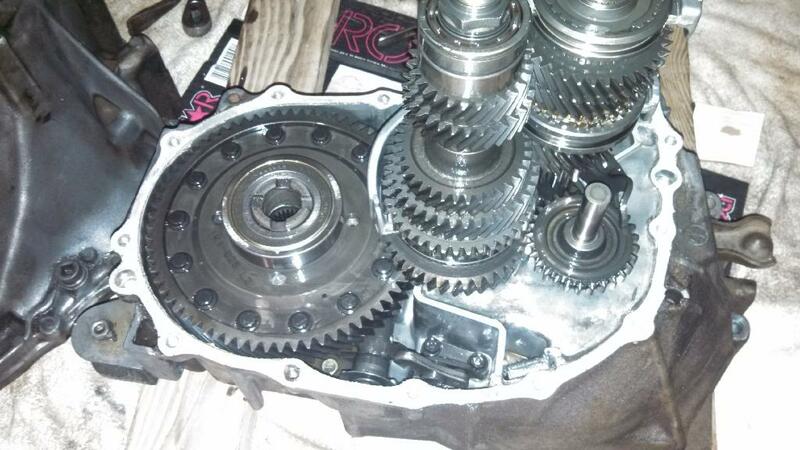 Some factory LSD's from Honda are metal plate and need to be rebuilt, but once the diffs out, its simply replacing a few plates like a motor cycle clutch pack. Not a novice job, but easier then properly closing a trans. Most are helical gear type tho and require no maintenance other then of course changing the fluid now and then no different then a regular open diff. With these it's the same as an open diff, either it works or it doesn't. The metal plate works better when new, then when the LSD function wears out, it operates just like an open diff. The test for it's effectiveness is done with everything installed still, but you could probably rig something similar to what I'm about to describe if you have extra axles laying around or pull yours out and use them to test it before you bother dropping the trans. Basically with one wheel on the ground, the other off use a 32mm socket on the axle nut, and turn in a tightening direction with a torque wrench. It should take more then 35lb/ft I think before the wheel in the air spins. I'd rather keep the LSD, but that's just me. D series LSD's are kinda rare so you can get ok money for them considering what you paid, tho the demand for D series parts isn't that high compared to B/H/K so if you sell be patient. Is there a junkyard in TO?